Japan has been a strong supporter of the Northern California Cherry Blossom Festival for decades. Every year, Japanese groups show their support for the festival by traveling across the Pacific Ocean to perform in San Francisco. This year, we are very honored to have ten groups of talented performers and artists from all around Japan at the Cherry Blossom Festival performing their music and showcasing their intricate art for us. These groups will be performing at the 50th Anniversary Gala Celebration on Friday (4/14) night at the Westin St. Francis Hotel and on the second weekend of the festival. We are immensely thankful for their attendance and grateful for their continued support for the festival year after year. Below is a highlight of the ten groups of performers and artists that will be making an appearance on the second weekend of the festival (April 15 and 16). We hope you’ll take advantage of this opportunity to join us and enjoy some of these special performances. This Okinawan minyo group is from the village of Yomitan. The sisters began their career in show business at a young age under their father’s guidance. Their lively performances include singing and taiko of original compositions that have been featured in television programs and commercials. Since 1975, Hiro Kimono School has been teaching how to wear and conduct oneself in the tradition kimono. Many graduates continue to enjoy wearing kimono and pass on the tradition to future generations. 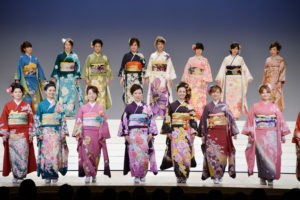 The kimono show introduces the types of kimono worn during different seasons and events. The kimono show has been well received internationally including Asia, Australia, Europe, and Russia. The group represents Osaka, a sister city of San Francisco, in commemorating this 50th Cherry Blossom Festival. The Hido Kimono Show will be on April 15 at 1PM, at the Sundance Kabuki Cinema. Admission is free. JR-East Band Tohoku is from the city of Sendai in Miyagi Prefecture, Japan that was massively damaged by the earthquake and tsunami on March 11, 2011. They removed the damaged railway, which had been standing by the seaside to the inland area, and at last JOHBAN line began services between Fukushima and Sendai again on December 10, 2016. They thank the U.S. for its countless support and prayers. JR-East Band Tohoku was established in 1971. The band consists of about 45 members, including the Sendai branch officer, driver, conductor, maintenance staff, their families, and friends. All member made efforts to reconstruct the railways for six years. This time, twelve selected members of the band will perform memorable Japanese pieces and jazzy rock numbers. 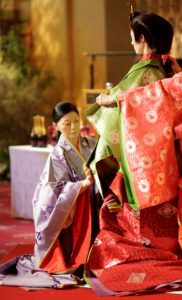 The jūnihitoe is a twelve-layered kimono known for its intricacies and elegance. The current form was developed over a thousand years ago. The pieces illustrate the four seasons or motifs of nature. 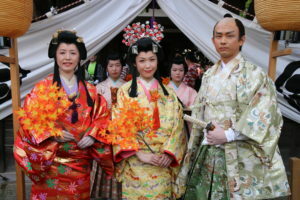 This program provides a rare look at the jūnihitoe, which is presently only worn at specific formal occasions by the women in the Imperial Household. The performance consists of a person skilled in manipulating a special screen (Sudare) made of loosely woven sticks, as well as chanting an accompanying kind of poetry. The performer chants a rhythmic poem as he or she uses Sudare to portray the objects in the poetry without stopping. The Sudare is twisted, folded, extended, etc., in many different ways to portray an object, and then brought back quickly to its original Sudare shape. “Nankintamasudare” was introduced on the Japanese-TV program “Shouten,” where the creation process was explained. The performer was in junior high school at the time and made Tamasudare out of curiosity, and has been performing original works since. His daughter became an apprentice at age 6, and has gained more attention than her master performing at retirement homes and events. The duo performs under the catchphrase of BOKE-shishou (forgetful master) and SHIKKARI-mono no deshi (a well-to-do pupil). 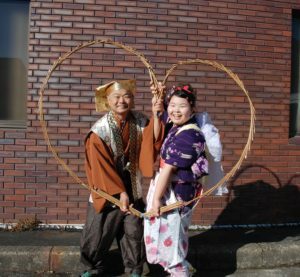 The father-daughter team hopes to continue Nankintamasudare, a traditional Japanese performing art. The Yakage Daimyo Gyoretsu was a festival for the town’s recovery from the tropical storm-induced flooding of the town of Yakage in 1975. What started out as a small group of local merchants at the heart of this effort to energize the community has now grown into a larger collaboration of high school students, town organizations, businesses, and participants from abroad. e town of Yakage is famous for its abundant history and culture. Come experience the Edo Period Japan with this event! This joint embroidery group first participated in the 30th Annual Cherry Blossom Festival. They have since provided embroidery exhibits and demonstrations in front of the Kinokuniya Bookstore in more than 10 festivals. 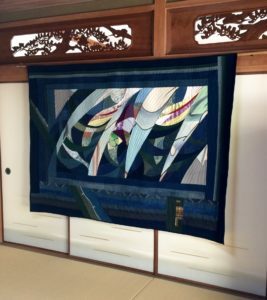 The group hopes to share the Japanese cultural art form of fabric and create opportunities to communicate with participants through their workshops. Setsuko Kondo and Harumi Miyazaki actively display their work in individual and group exhibits, as well as with their respective regional artist groups in Japan. Ms. Saga graduated from the National Niigata University’s special music course. She has performed in many operas such as The Magic Flute, The Marriage of Figaro, and Messiah. She currently conducts six choir groups and one band. Three groups—Chorus Kooza, Ladies Chorus Laelia, and JR-East Band Tohoku—will participate in the 50th Cherry Blossom Festival. She lost her home in the earthquake on March 11, 2011. However, she performed in the Japan-U.S. Chorus Festival at Carnegie Hall in New York that same May. In 2014, she performed in the first Japanese Mass “Requiem – We will never forget that day” at the St. Stephen’s Cathedral in Vienna. The city of Sendai where they live is 350 kilometers northeast of Tokyo. Known as the “the Capital in the Forest,” Sendai is a beautiful city surrounded by greenery. The group enjoys singing various songs under the guidance of conductor Saga and pianist Watanabe. Kooza is Sanskrit for treasure chest. For this performance, they will sing nostalgic Japanese songs from their treasure chest and a typical folk song of Miyagi, Tairyo Utaikomi – Fishermen’s Song. As mentioned in the lyrics, Matsushima is considered one of Japan’s three most famous views. 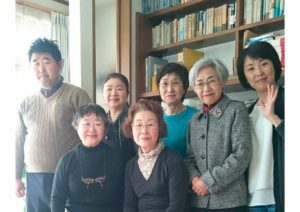 In the six years since the 2011 earthquake that devastated the region, they have rebuilt much of Sendai and the coastal areas with the warm support they received from around the world. They are looking forward to participating in the memorable 50th Cherry Blossom Festival. 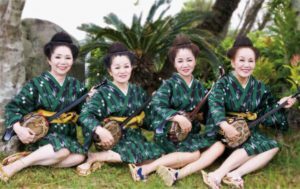 Ladies Chorus Laelia started in York Culture of Hirosaki, Aomori Prefecture in 1997. This chorus group originally began as a gathering to enjoy favorite songs. 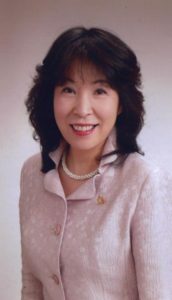 Fukiko Noro has served as the group lead since its inception. Seven out of 15 currently active members volunteered to participate in this event. The group performs concerts in hospitals, street corners, choir festivals, and anniversary concerts. 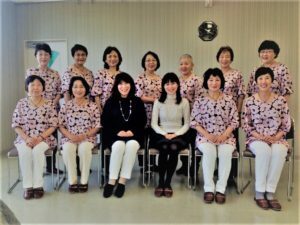 Ladies Chorus Laelia actively visits the city’s rehabilitation facility for the elderly and is known for performing the works of Aomori composers. 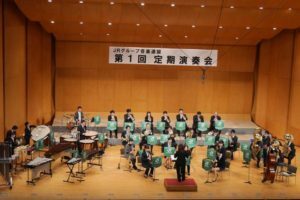 They are grateful for the opportunity to participate in the 50th Cherry Blossom Festival together with JR-East Band Tohoku and Chorus Kooza, which came about from the2016 disaster relief fundraising event in Sendai called “Tohoku Uta no Hon” (Songs of Tohoku). Hirosaki Park in their hometown is famous for being one of the top cherry blossom sites in Japan. They would like to enjoy the beautiful cherry blossoms in San Francisco during this visit. ← An Epic First Weekend of the 50th San Francisco Cherry Blossom Festival!